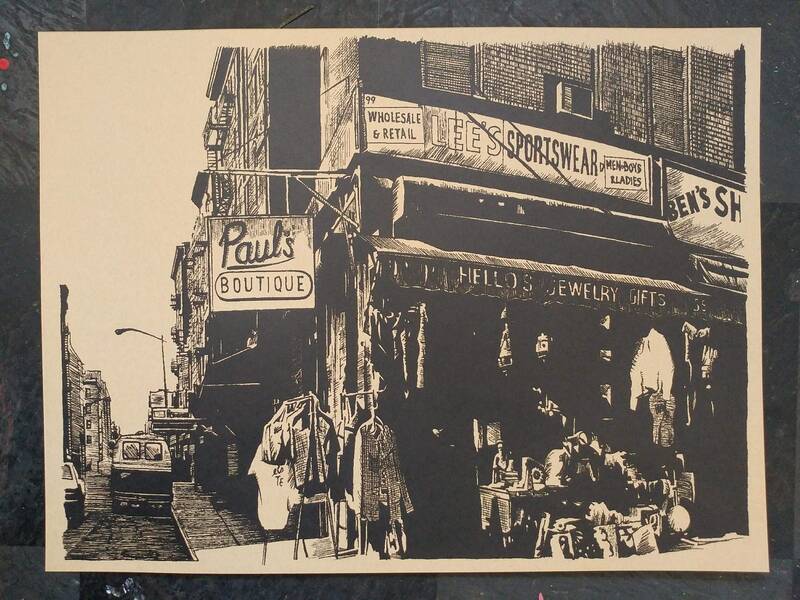 This is a one-color screen print of a drawing I made of the cover art for the Beastie Boys classic album "Paul's Boutique". Printed on French Kraft-Tone Parcel Wrap paper. Signed and numbered in a limited edition. Love it! Excellent description. Arrived exactly as pictured. Five Star shop with great communication and service. Fast shipping.